New Meeting Spaces and Times!!! We will be meeting at 9am this Saturday Dec. 1 at the warehouse at HCC (practice field) to start prepping and packing for our move to TCTC. We will be meeting Thursday Dec. 6 from 6-8pm in our new location at the Tri-County Technical College Oconee Campus. We will meeting on Saturday Dec. 8 to move everything from HCC to the Tri-County Technical College Oconee Campus. 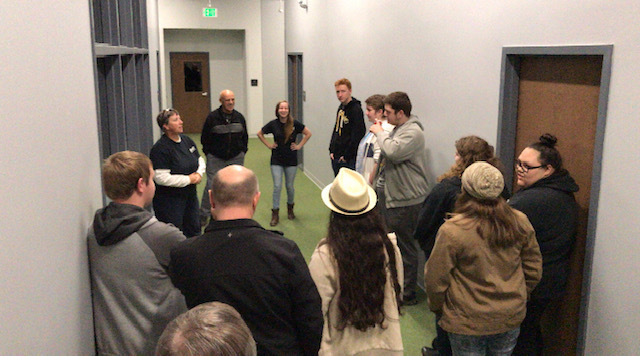 Here’s a picture of our students getting a tour of the new facility! More pictures and videos will be posted soon! ← 6 WEEKS IN A BAG!